Increase the supply of quality and well-maintained affordable housing for low- and moderate-income individuals and families through new construction and preserving existing housing supply. 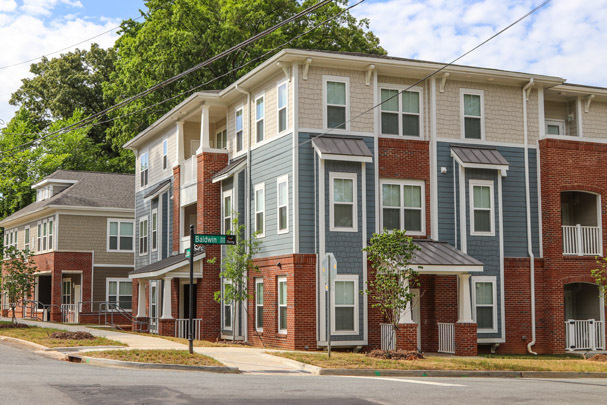 $50 million on this year’s ballot for the Charlotte Housing Trust Fund, matching private investment dollars, to provide affordable and well-maintained housing for low- and moderate-income individuals and families in the Charlotte area. Tall Oaks community is centered on preserving affordable housing in response to the needs of the existing residents. The redevelopment plan is within the Cherry community, one of Charlotte’s most historic neighborhoods and oldest African American communities. The development consist of 81 units for families with incomes up to 60% of Area Median Income (AMI) utilizing 9% Low Income Housing Tax Credits and $1,215,000 of City of Charlotte Housing Trust Fund. It offers one-, two-, three- and four-bedroom units on scattered sites within walking distance of each other. Amenities include outdoor seating areas, an exercise room, multi-purpose room, computer lab and leasing center. The Men’s Shelter of Charlotte provides emergency shelter for men experiencing homelessness. They provide basic needs, including beds, meals, restroom and shower facilities, laundry facilities and personal hygiene items. Recently, the facility underwent a major renovation, completely transforming the North Tryon Street facility. The Men’s Shelter of Charlotte, which has 230 beds, reopened in August after a nearly five-month, $5.8 million renovation. The changes include a new roof, piping, kitchen equipment and HVAC system. The sleeping and bathroom areas have also been renovated to increase privacy for its residents, and they can use the new wellness wing and a computer lab to search for housing and job opportunities. The City provided $500,000 towards this project from the Housing Trust Fund. To read Charlotte Observer article about the reopening, please click here. Twelve years ago, St. Paul Baptist Church and the Zechariah Alexander CDC envisioned a housing community that was affordable for those in the Belmont community. In late August, that vision came to life at the Centra Square ribbon cutting. The community is a $17 million affordable development with 112 units, including a 60-unit senior housing building, 29 townhomes and a 23-unit garden-style apartment building. These homes have been reserved for seniors and families at 50-60% of the Area Medium Income (AMI) and below. Centra Square helps to manage the impact of gentrification on the Belmont community while respecting the density and character of the neighborhood. Amenities include outdoor sitting areas, a playground, computer center, community room, fitness center and a covered picnic area. Two large meeting rooms can be used for community programs that benefit the entire neighborhood, and Centra Square’s proximity to the Parkwood Station on the Blue Line Extension makes transportation that much more accessible. This community was financed by public and private investments, including $4.35 million from the City of Charlotte’s Housing Trust Fund. Bank of America, St. Paul Baptist Church, the Zechariah Alexander CDC, North Carolina Housing Finance Agency, and Greystone all also contributed. 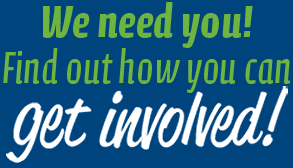 For more information about the Housing Trust Fund, please visit the city’s housing services webpage. Click here for more information on the Department of Housing and Neighborhood Services 2018 Charlotte Housing Framework. Election Day Nov. 6 Go to the end of your ballot to vote YES for the bonds!